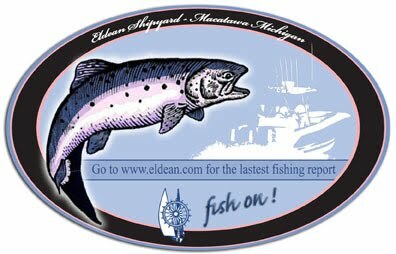 I'll be fishing the Tuesday nights Summer Tournament put on by the Holland Steelheaders, with Capt TJ on Bending Limits. Last night was our first night in the league. We had a slow start, loosing our first couple of fish. But, then things picked up and we ended the night 10 for 18. Don't get to excited, as were running the Lake Trout program and caught only Lake Trout. We fished in 100 to 130 FOW. The biggest was 12 lbs and the smallest didn't make the size limit. We had several in the 10 lb range. For the night we took 1st place with the Best Box of fish (5 fish weighing 50 lbs total - in this league you weigh your 5 best fish). Not bad for our first night in the league. A couple of boats did go for Kings, and the Big Fish of the tournament was a 14lb king. It looks like it will be Smoked Lake Trout at our marina 4th of July Party!